Should butter and margarine be stored in the fridge? Where in the fridge should they be stored? First, a little information about the differences between butter and margarine. Butter is made from churning milk or cream and is made of a cow’s, sheep’s, goat’s, yak’s, or buffalo’s milk. It’s about 80% fat, 3% milk solids and 17% water. Margarine is usually made from vegetable oil. Fat from skimmed milk is sometimes added but usually no dairy products are added. But whilst they are both a little different storing butter and margarine is very similar. Where Do You Store Butter and Margarine? Both butter and margarine should be stored in a refrigerator at 40℉ (4℃) or below. By storing butter and margarine here you stop them from being exposed to light and high temperatures which can make them become spoiled and rancid. You should keep them in their original containers or packaging, but should consider putting them in an airtight container as air is another contributor to making them go bad. TIP: Instead of throwing away butter wrappers, use them to grease baking tins and pans with minimum mess. When storing butter and margarine, the best place to put them on the upper refrigerator shelves. TIP: To make soft butter solid quicker, place it in a container, which should then be placed in a bigger container filled with cold water or ice and water. TIP: To melt butter quicker, take a piece of glass and make it hot by pouring some hot water over it and let it rest for a minute or two. After draining away the water, put the butter you want to melt on a plate, and then put the heated glass on top of it. When unopened, butter lasts for 1-2 months in the refrigerator. You should use it within 2 weeks. Margarine may be kept for 3-4 months when unopened and 1-2 months when opened. Can You Freeze Butter and Margarine? Absolutely! What’s more is you can freeze butter and margarine before or after opening them. 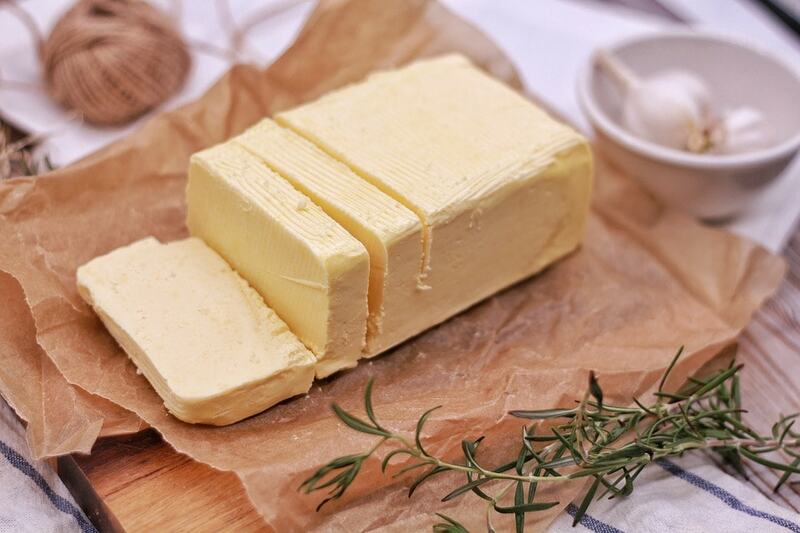 Butter will last 6-9 months when frozen, whilst margarine will keep 6-8 months. How Do I Know If Butter and Margarine Has Gone Bad? To check if butter or margarine have gone bad, it’s best to smell and look at it. When butter or margarine has a sour smell and taste it has become bad. Other signs of expired butter or margarine are discoloration and mold. However, it is worth noting that even after the expected expiry date, if there are no signs of butter or margarine having gone bad, it is still safe and good to use! Storing butter and margarine in the best way possible will help it last for longer and help you to get the most out of it.